After a lackluster 2017, the Loyola men’s soccer team (1-1-0) has its eyes set on reattaining the success it had in 2016 — which resulted in an NCAA Tournament appearance. One year after reaching the second round of the tournament, the Ramblers were ousted by University of Evansville 1-0 in the opening round of the 2017 Missouri Valley Conference (MVC) tournament Nov. 8. Key contributors such as All-MVC preseason team picks, seniors Grant Stoneman and Fabian Lifka, will be returning to the Ramblers this season. Along with these preseason player nods, the Ramblers were selected to finish second in the MVC preseason poll. Head coach Neil Jones said he puts little stock into these preseason selections. 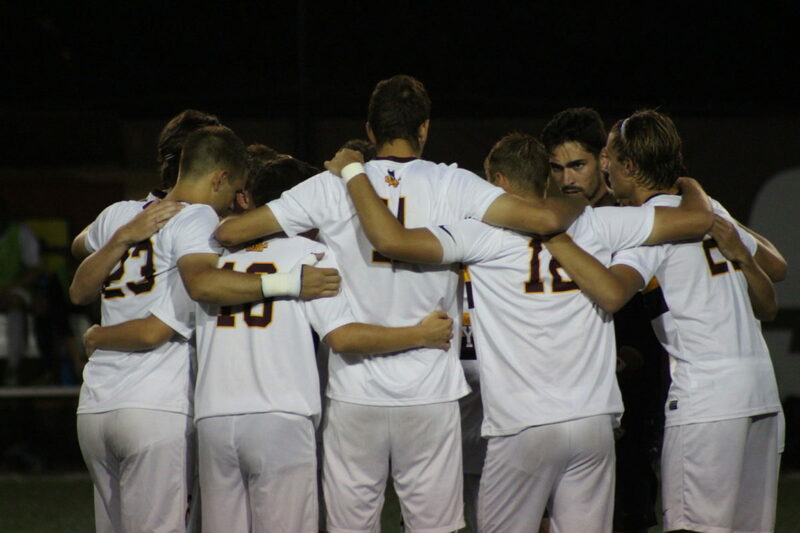 The Ramblers went 0-3 in exhibition games against Marquette University, University of Wisconsin-Milwaukee and University of Michigan before opening the season with a 2-0 loss to Western Michigan University. Despite not scoring a goal in the three exhibitions or the season opener, Jones said he believes these exhibitions greatly helped the team and prepared them for conference play. “The preseason opened a lot of our new players’ eyes as to what elite Division I opposition looks like and we made some errors, but now it’s time to move on and learn from those mistakes and improve,” Jones said. 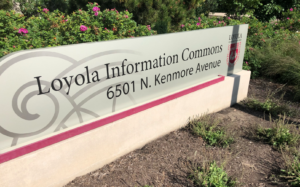 As the Ramblers turn to their non-conference schedule, they’ll look for their new recruiting class to step up and fill the roster spots held by top-scoring and assisting forward Elliot Collier, first team All-MVC midfielder Kyle Thomson and goalkeeper Aidan Aylward, who left the program due to personal reasons, according to Loyola Athletics. The new recruiting class, made up of ten first-year players from across the world, is headlined by a trio first-years — forwards Fabian Becerra, Billy Hency and Tomas Dias. They’ll will work to fill the hole left by Collier, who’s currently playing professionally with the Chicago Fire. Aside from the recruiting class, Jones said he’s expecting big seasons out of his returning starters, such as Lifka, midfielder Aidan Megally and defender Marius Kullmann. He also emphasized the importance of defense, specifically senior Grant Stoneman, to the team’s success this season. With conference play beginning Sept. 22, the Ramblers turn to the remainder of their non-conference schedule as a final tune-up for the MVC schedule. The Ramblers are scheduled to play Loyola Marymount University Aug. 31 at Loyola Soccer Park to open the Hampton Inn at Loyola Chicago Classic.